FACT: Most doctors treat symptoms not the cause! 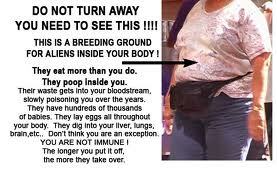 ~ Research each symptom in detail… Start with HumaWorm.com their Parasite Symptom List… Have a huge eye opener!!!! Parasites-World.com … I just found it today! Extremely informative on links and especially a full list of the parasititologists in the world!